An evaluation system for reliably evaluating large amounts of content. Google Delegated Authority Evaluation System assigns a primary authority that can then designate one or more contributing authorities. 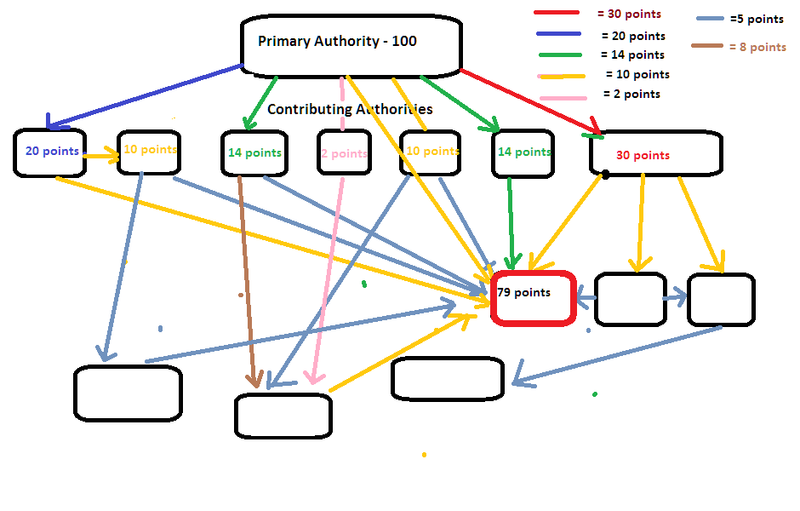 Each contributing authorities is delegated a set amount of authority from the primary authority which they can then delegate to additional contributing authorities. Contributing authorities can only distribute the total amount of authority delegated to them from other contributing authorities or the primary authority.